Maghreb de Fes (D1) added to their roster 24-year old American center Brian Bridgeforth (208-86kg-94, college: Wash.Adventist). He is the second import player in the roster as Kenyan Bush Wamukota signed here earlier. 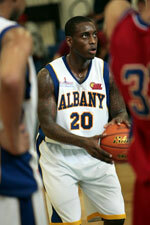 Bridgeforth was about to sign at Zakho in Iraqi IBL league. Part of last summer he spent at DC Funkhouse in U.S. semi-pro league The Basketball Tournament. Bridgeforth also spent pre-season at Verdes (NEBL) in Belizean league. The list of the past achievements is quite long as among others his team made it to the AII Tournament Semifinals in 2016. Bridgeforth was also voted All-USCAA D1 Player of the Year and All-AII Div.II Defensive Player of the Year in 2016 and 2017 at his college time. 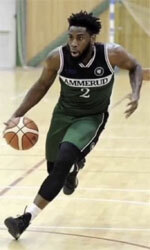 Bridgeforth has played also professionally in Canada (Windsor Express). He attended Washington Adventist University until 2017 and it is his second season as a professional player.